After playing both Inside and Limbo on the Nintendo Switch, I’ve come to the realization that the handheld needs more games with less color. Limbo and Inside are the only games thus far made by indie studio Playdead. In both games, you play child-like characters in dystopian worlds devoid of color. There’s no combat or action. All you can do is try to survive attacks and puzzle your way to the end. Both games are recognizable for their dark imagery, and it’s indeed quite dark. 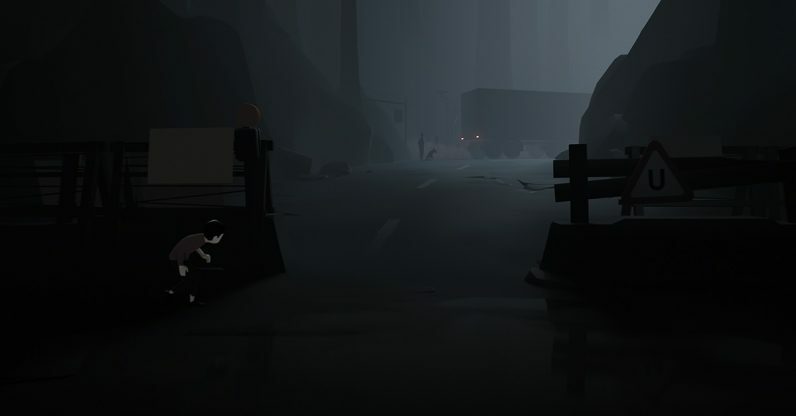 If I had to choose, I’d say I like Inside‘s visual style a bit more than Limbo‘s. The latter is heavy on bug imagery and a kind of gross moisture, while the former is more industrial. Inside‘s look feels more visceral because its touches of realism (the realistic proportions of the humans) make the grotesquerie stand out more. I wanted to test both games on the Switch’s handheld, rather than docked, because both games have already had their share of larger screens. But the visuals on the small screen weren’t what wowed me — it was the excellent sound design. Both games make use of the handheld’s speakers in a way I’ve never seen in a Switch game thus far. This is most notable in Inside. There’s a part in the opening where the tiny main character is racing through the woods for mysterious reasons, and a truck drives down a road in the background. The sound of the revving engine slowly fades, and the crunch of leaves under the child’s feet once again takes precedence. It’s a layered audio illusion that makes the child feel isolated, like the world is shrinking to just him and his will to keep moving. Keep in mind, I wasn’t wearing my usual headphones while I was playing — this was all somehow communicated through the handheld’s speakers. Both games are notable not so much for what they are but for what they represent. If you think about it, there aren’t very many “dark” games on the Switch. I mean that literally — there aren’t many games with very dim, limited color palettes. Everything else I’ve ever played on the Switch is a riot of colors. Everything is rich and bright — but playing the above games have convinced me the console could use a bit of visual diversity. Playdead’s games are just the kind of different I needed. To give you an idea of what every other game in my Switch collection looks like, it contains the likes of Bayonetta, Splatoon 2, Crash Bandicoot, Fire Emblem Warriors, and Octopath Traveler, just to name what’s on the built-in storage. Everything is colorful to a fault, a resplendent visual feast that keeps your brain engaged. Even the less overtly cartoonish games, like Skyrim, Wolfenstein 2, and DOOM aren’t exactly what you’d call muted. Don’t get me wrong. I love colorful games as much as the next person. But having detoxed from color so thoroughly with both Inside and Limbo, I appreciate how having the option to play a more desaturated game helps me enjoy both more thoroughly. So I say Nintendo’s hybrid needs more games that don’t pop with color. Not every game needs to look like someone melted a box of crayons on top of the Switch. Other than Playdead’s titles, we have Dark Souls and Darkest Dungeon, which aren’t quite as black but are still rather subtle with color. I’d be happy to see even more games like them in future. Inside and Limbo are both available on the Nintendo eShop.